I have one finely honed skill that serves me better in the classroom than all the rest: I know when I should steal a great idea. Well, I am not really stealing an idea if I give credit, and the person who originated the idea is sharing it freely. No single teacher can always be the perfect creative force who whips up an appropriate and effective solution to every teaching dilemma. We educators work best when we work together…or we at least share. 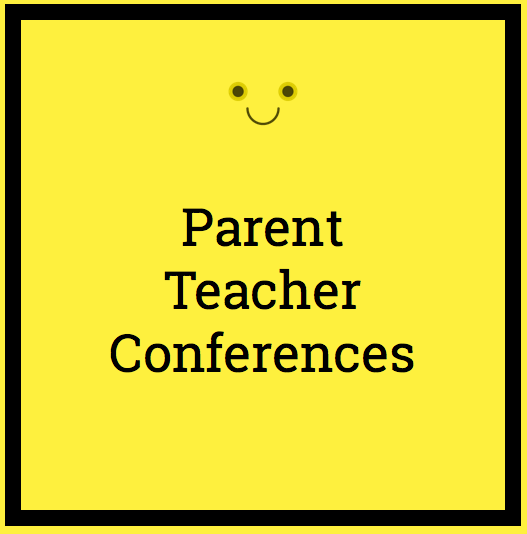 At its core, sharing is what this blog is all about, so here is a great idea for your next parent/teacher conference. I just finished mine. Thankfully, at my school we really hold parent/teacher/student conferences; the student does most of the talking. In the past, I have always been a bit flummoxed as to how to get every student to talk precisely and honestly about his or her class work. My excelling students spoke articulately about their work, but my struggling students…well…struggled to pinpoint what they needed to do to improve.